Here at Carnections we strive to personalize the vehicle shipping experience. That is why we offer many different services tailored to your needs. We ship to and from Hawaii, we offer military discounts, expedited service, enclosed car shipping, and more! And as always all of our quote systems are instant and free. Of course, if you prefer you can call us at (800) 909 2330 to talk to a live person! Carnections values the honorable service of the brave men and women serving in the United States Military. That’s why we offer discounts on car shipping for military personnel. In most cases we are able to offer $50 off our normal rates. Moving away for college is a daunting experience both for the young student and for his/her parents! You want your child to have transportation while they’re away, but one of the unknowns in your mind right now is how you’re going to get his/her car to them. You’re not alone. People have been in your situation before and Carnections has helped them. We want to make your car shipping process easy and affordable. You can get a discounted student car shipping price (and even book the shipment) online. Snowbirds are people who spend the cold months in a warm area like Florida or Arizona and the rest of the year in their primary home further north. They often need to get their cars back and forth between their home two homes. Here’s where Carnections comes in. If you’re a Snowbird and you need your car shipped, we can help you out. 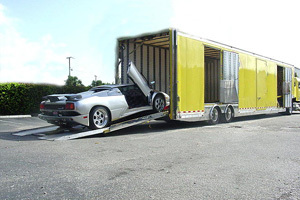 Since you’ll probably need your car shipped on a regular basis, we can get you great rates. Most vehicles are moved with open car carriers. With an open carrier, the vehicles being transported are not enclosed by the truck. They are exposed to the elements. This is just fine for most people because open car carriers are the most common, making them the affordable option. Damage is very rare, but vehicles do get dirty. Enclosed shipping offers superior protection for your precious vehicle. With this option, your vehicle is completely covered. It is protected from the elements. If you absolutely cannot have your car dirty or scratched, ship it enclosed. The price will be higher and the transport time may be longer since these types of carriers are less common. We exclusively ship cars “door-to-door”. This means we pick up your vehicle as close to the address you specify and it deliver as close to the address you specify. Our car carriers are big, so they don’t fit into most residential areas, but we can get with 1 mile of your address in almost all cases. Typically, it takes 1-5 days for Carnections to get a vehicle picked up. After this, the carrier will cover about 400-600 miles per day. So a coast to coast transport will take anywhere from 7-12 days. We know that for many of you, this just isn’t good enough. That’s why we offer an expedited car shipping service. Most cars we ship are in working condition. For your vehicle to qualify as operational, it only has to start up and be drivable onto the car carrier. But if your vehicle is inoperable or non-functioning, we can still ship it. For a loading fee of $150 – $200, your car will be transported on a car carrier with a winch capable of pulling your vehicle onto the car carrier. We ship ALL makes and models of all types of vehicles including large trucks & pickup trucks; SUVs; vans including large vans and mini-vans; convertibles, coupes, sedans, hatchbacks, and even motorcycles. 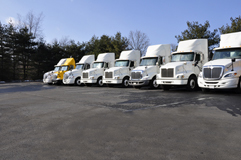 Learn more about all the types of vehicles we ship, including the particular factors that affect vehicle shipping rates. Call 1 (800) 909-2330 to get a free quote.